THERE could soon be a community radio station for every area of Co Donegal as yet another group announced plans yesterday. 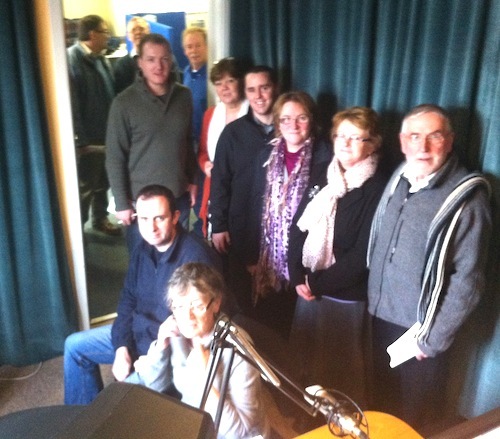 A delegation representing community groups from the Rosses area of Donegal have visited ICR fm in Carndonagh to watch and learn. Members of Rosses Community Development Project, a network of community groups, were on a fact-finding mission to the local community station as they are planning to establish their own service in the Rosses. Welcoming the group to ICR, Chairperson Raymond Doherty said that it was great to see other communities in Donegal following ICR’s lead and showed the reputation that the local station has. The group had a constructive and rewarding series of meetings with board members, management, staff and volunteers at the station to learn at first-hand how a community station operates. 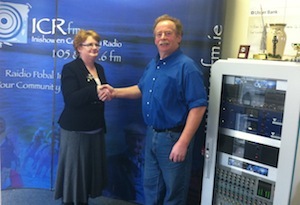 South West Donegal Community Radio has also been very successful. 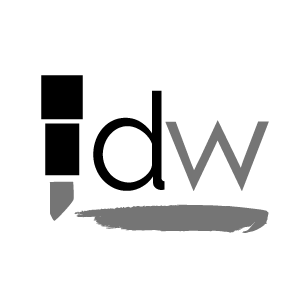 (More information here http://swdcr.ie.) The Broadcasting Authority of Ireland may look to secure the future of radio with more regional stations, backed up by small very local community stations. Pictured below: Rosses CDP group in ICR studios.